New Delhi, July 22 : Fitness is not just a habit, it is a lifestyle; one that requires commitment and dedication so dont let monsoon dampen your spirits. Some quick and easy steps like working out indoors or getting few simpler exercising devices can do the trick for you, say experts. New York, July 21 : Consuming a sugar-sweetened drink like fruit juices with a high-protein meal including lean meat, chicken, fish and dairy products may negatively affect energy balance, alter food preferences and cause the body to store more fat, according to a study. Sometimes, a weekend getaway is all we need to break free from the hectic spiral that our lives are. Escaping the tiring schedules of everyday, mundane and machine-like life to an innate hideout is the perfect way to reconnect with ourselves and our surroundings. A travelogue full of soul, join three women Shweta Tripathi, an actor, Aien Jamir, a Blogger and Angel Bedi, an artist, in their travel to 'Vivaana Culture Hotel, Mandawa, Rajasthan with each other. The journey began with all of three of these women being strangers, and from there they formed a bond. A bond of friendship, a bond of likeness for travelling and connected through their journey. A journey that isn't just about having quality time, but it was also about the enriching experience of realisation as we get back to our roots. Sydney, March 18 : Intake of Vitamin D supplements during the first trimester of pregnancy is likely to prevent the development of autism traits in children, researchers found in a study on mice. New Delhi, June 8: Leading ad guru Prahlad Kakar, who has created noteworthy commercials for Pepsi, Rasna and Maggi Noodles among others, says that nowadays, advertising has incorporated a social commentary. 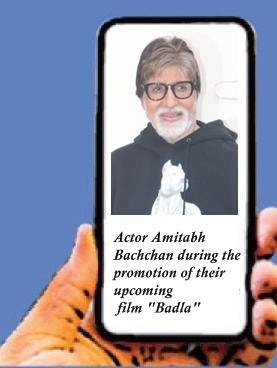 Mumbai, June 17: Many actors who are scorching the screen today were once assistant directors, running across the sets of a film. Here is a look at some of them. Newcomer Tiger Shroff's ability to perform daredevil stunts has been the talk of tinsel town for a while, but now he will be in a different battlefield when his debut film "Heropanti" will release alongside mammoth star Rajinikanth's "Kochadaiyyaan" May 23.